Greetings Zombie Seekers, and a warm welcome to another edition of the ZomBlog. Today I’ll be answering a pair of questions from our fine Zombiology student body. 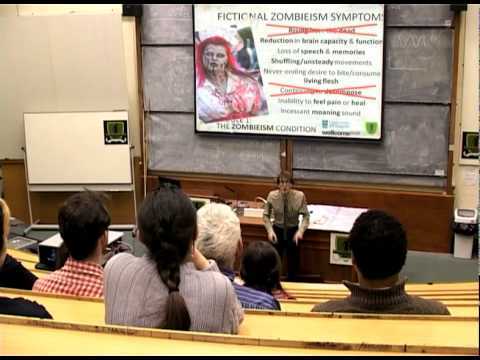 A famous slogan of vegetarianism is “nothing with a face”, and if fiction has taught us anything, it’s that Zombie’s love nothing more than sucking and tucking into a human’s face. Vegetarianism comes in many forms, some eat eggs, but no other dairy products, and vegans exclude all animal products including clothing such as leather. There are various reasons people abide by these diets, it might be part of their religious practice or for moral reasons but ultimately it is an active choice. Our current research indicates that a Zombie’s diet stems from the disease affecting an area of the brain known as the hypothalamus. The hypothalamus helps regulate appetite by letting us know when we are hungry, or reversely, full. Dysfunction in this region can make us feel like we are never full, causing us to continually eat. This is called hyperphagia. We believe that a Zombie would be hyperphagic and therefore be compelled to eat continuously. Areas of the brain also play a role in moral sensitivity. In the 19th century a man named Phineas Gage was involved in an accident. An iron bar was blasted through his head, damaging the frontal lobe of his brain and severely changing his personality. Prior to his accident Phineas was a calm mild mannered man, afterward he became an angry womaniser. By studying Gage scientists learned much about the brain, and that the damaged areas were partly responsible for moral sensitivity. We must also consider that the Zombie disease is likely to affect a person’s memories, and personality. If we combine all of these factors it is unlikely that a vegetarian who subsequently becomes a Zombie could remember their previous diet choices, nor care about maintaining them - on top of this the burning compulsion to eat would lead them to devour anything that is available, including meat. In conclusion, a pre-Zombie vegetarian would not carry on this dietary choice once infected, and would be happy to eat anything from meat to veg. The answer to this depends on whether we could develop a treatment for Zombieism that would remove the disease, and whether we could then repair the damage it leaves behind. If we could do both then Zombies would essentially be human again and able to return to their previous lives. If we could do neither it would be more difficult, as we’d need to ensure we kept the disease contained and therefore keep infected people away from the uninfected. If we could remove the disease, but not repair the damage, a Zombie could be left with significant brain injuries leading to difficulties ranging from movement problems to aggression issues. However the human brain is capable of rewiring itself in a process known as neuroplasticity. 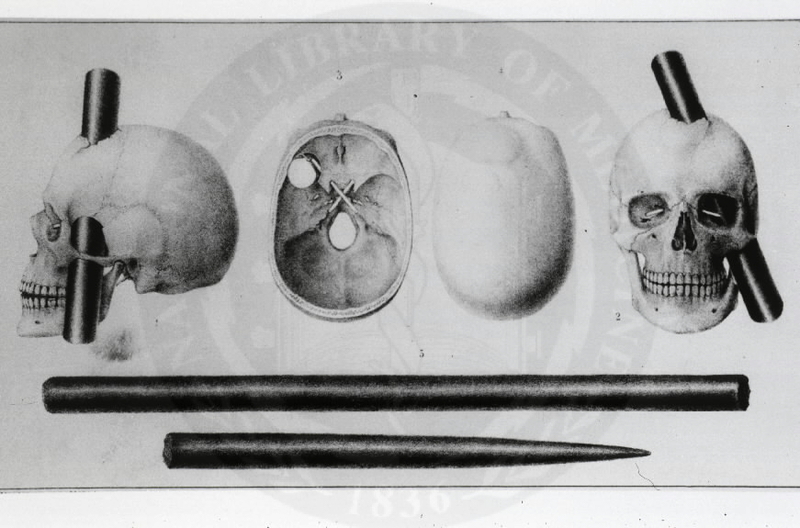 The aforementioned Phineas Gage overcame many of his initial personality problems over time. So the longer a disease free Zombie lived, the greater the chance it’s brain has of resolving any problems. 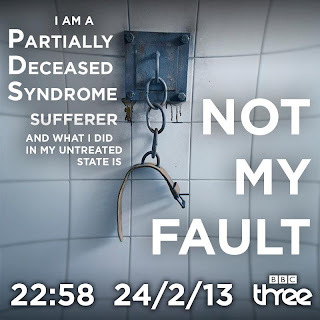 The television series ‘In the Flesh’ (http://en.wikipedia.org/wiki/In_the_Flesh_(TV_series)) examined this scenario with fantastic creativity, and if you haven’t seen it, I’d recommend you check it out. So in answer to Nico’s question, I’d optimistically say that yes Zombie’s could become useful members of society. It might take some time for treatments and cures to be developed but we’d never simply give up on helping our fellow humans. Eventually we’d find a way. A big thank you to Jim and Nico for today’s questions. As always I can answer your questions right here on the ZomBlog. Why not leave yours as a comment below? Or visit our Book of Faces (www.facebook.com/zombiescience) and ask your question there. No matter how gruesome or tricky, or trickily gruesome, I’ll endeavour to answer them.